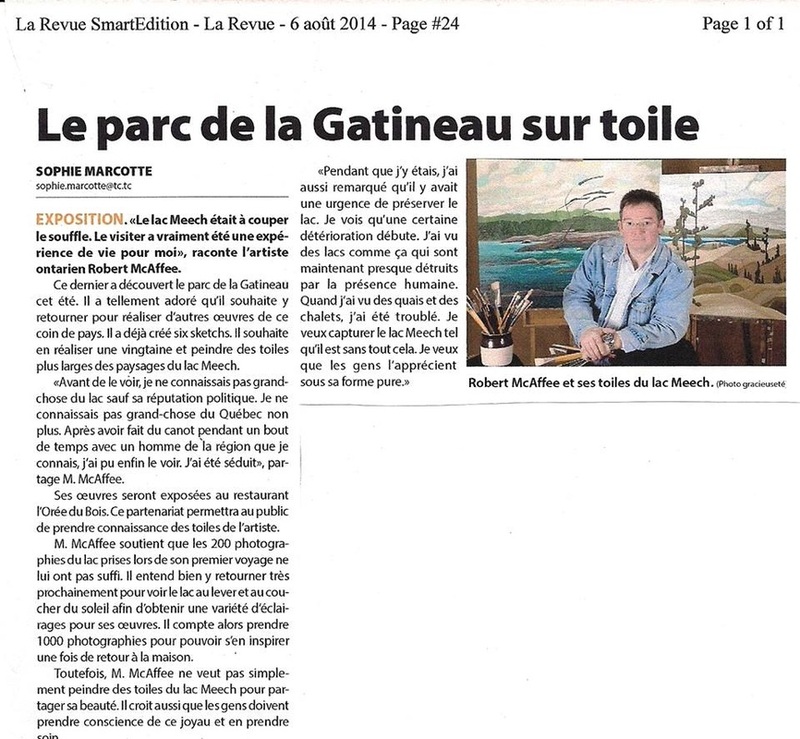 Translation: Gatineau Park on Canvas, by Sophie Marcotte, La Revue, August 6, 2014, p. 24. 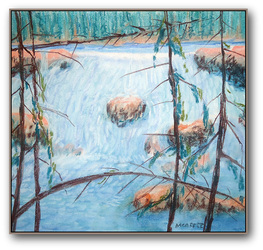 ART EXHIBIT – “Meech Lake took my breath away. 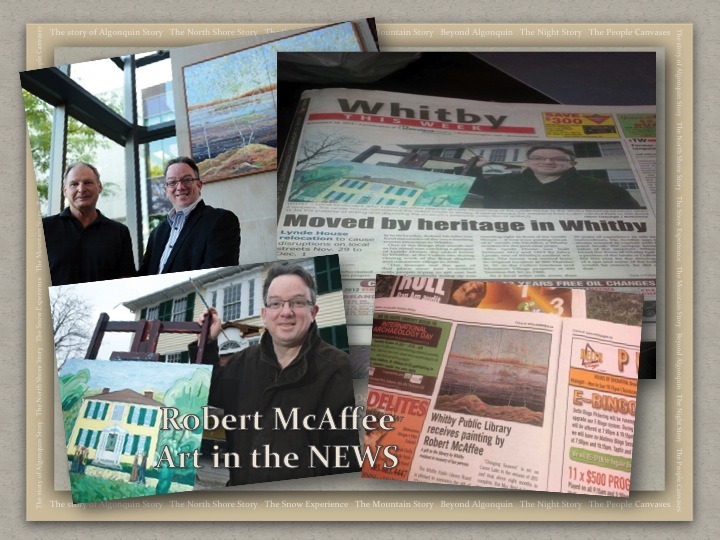 Visiting it was a life experience for me,” says Ontario artist Robert McAffee. The artist discovered Gatineau Park this summer, saying he loved it so much he wants to go back and paint other corners of this countryside. 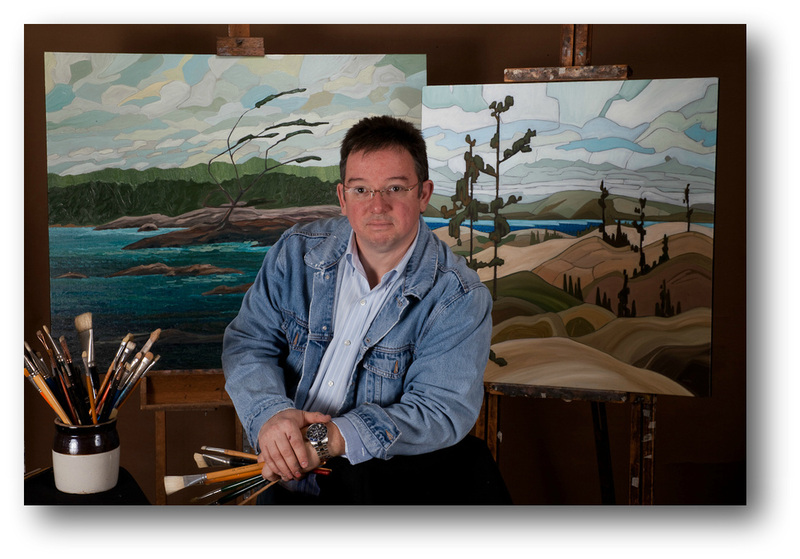 He’s already brushed six sketches and wants to paint some twenty larger canvasses depicting the Meech Lake landscape. “Before seeing it, I didn’t know much about the lake except its political reputation. I didn’t know much about Quebec either. But after canoeing around it for awhile with a friend from the area, I finally managed to see it. I was seduced,” says Mr. McAffee. 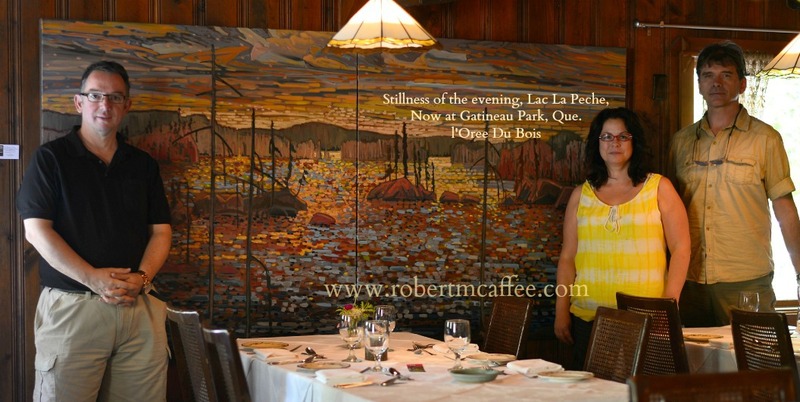 His paintings will be exhibited at the l’Orée du Bois restaurant, a partnership that will allow the public to see the artist’s landscapes. 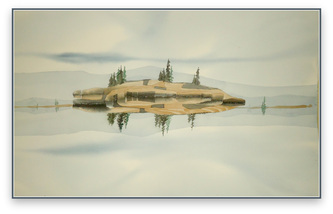 Mr. McAffee says the 200 photos of the lake he took during his first trip aren’t enough, and he intends to come back to see the lake at sunrise and sunset to get a variety of lighting effects for his paintings. He wants to take 1,000 pictures he can draw inspiration from once he gets back home. 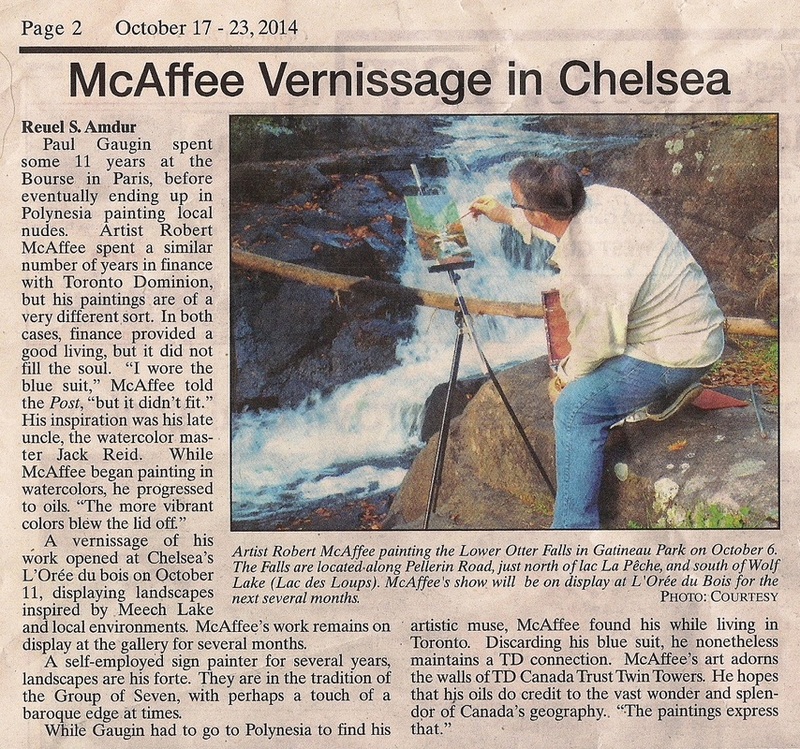 The artist, however, doesn’t only want to paint Meech Lake to show its beauty. He also believes the public must be made aware of this jewel and the need to take care of it. 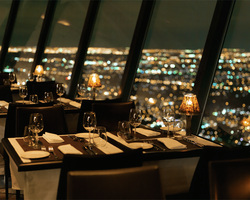 “While I was there, I also noticed the urgent need to protect it. I saw how it’s starting to deteriorate. I’ve seen lakes like this that are now nearly destroyed as a result of human occupation. When I saw docks and cottages, I was troubled. I want to capture Meech Lake as it is without all that. I want people to see it in its purest form. Formal presentation of "Lookout, hwy 60, Algonquin Park" to The Brooklin Library, Brooklin, Ontario, May 21st, 2014. Left: Robert McAffee Right: Mr Ian Ross, C.E.O. 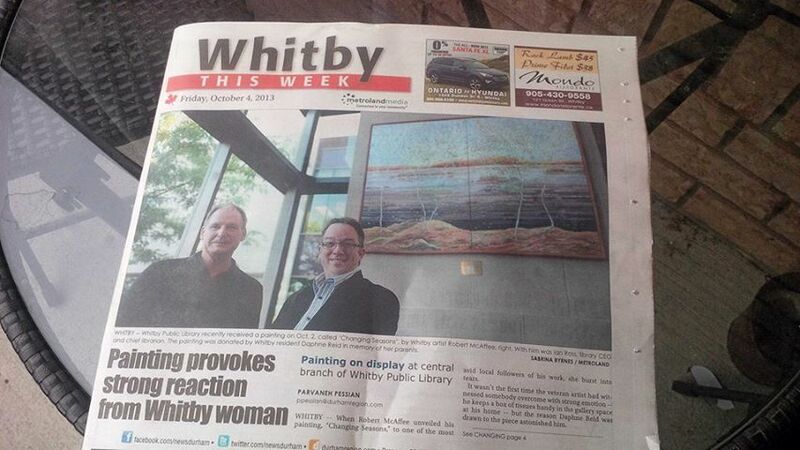 Whitby Public Library. 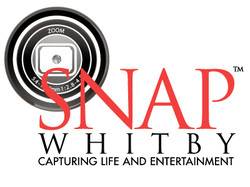 is now out and available for sale. 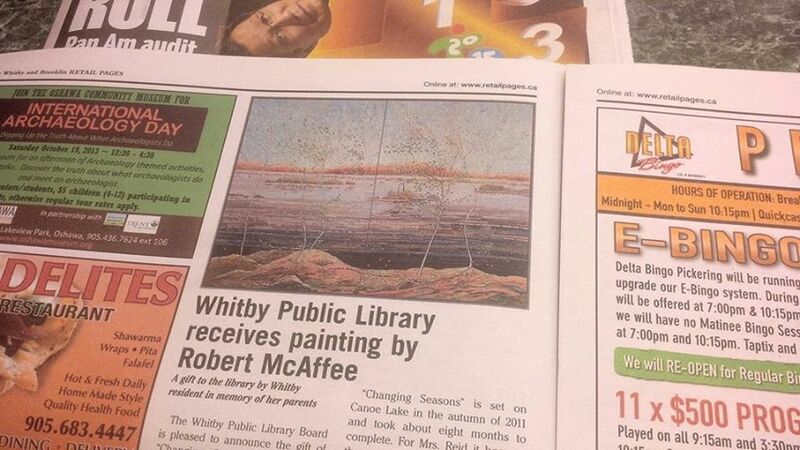 50+ pages of a retrospective of Robert McAffee paintings. Limited numbers of first draft. contact robertmcaffee@gmail.com to order yours. 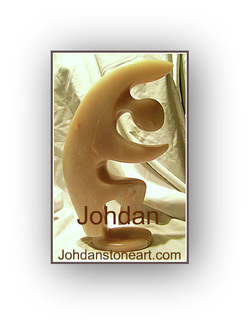 Robert McAffee Original used for second "The Shopping Channel" episode demo prop of the MiWand 2 Mobile Scanner. Thousands of new viewers get to view and enjoy one or Robert McAffee's newest original paintings while at the same time watching the presentation demo of this new personal portable scanner. 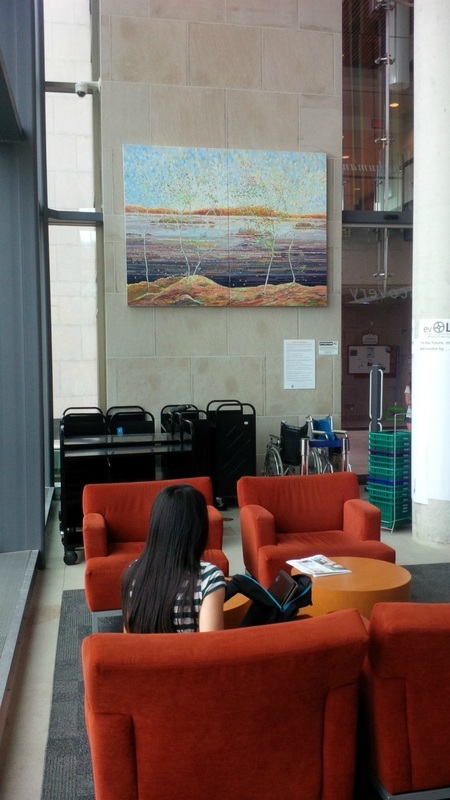 Robert McAffee's painting used as a prop for the Miwand personal scanner on The Shopping Channel. 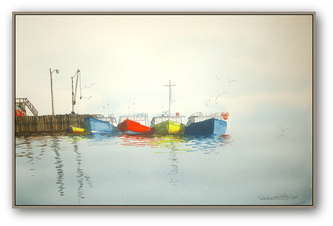 Reynaldo Dwarka for featuring this watercolour on your show! Before the transition into painting with oils Robert McAffee began his life as an artist at the age of 6. There are over two hundred and seventy watercolours and Pastels which have never before been seen in public. Very few have been sold as they remained in storage and were pretty much forgotten by Robert's family and by Robert Himself. Till now. Beginning Jan.1 of 2012 we will begin to publish here on robertmcaffee.com the entire retrospective for the public to see and enjoy. We will be posting them all, the good and the not so good, the mature and the less mature works. We hope you enjoy the show and we also invite your comments. As there are so many of them, it will not be possible to name them all, so we have taken the option of numbering them. A Special thank you to the Sara Reichtmann Foundation. 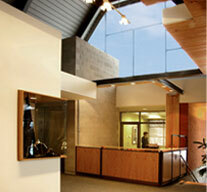 For the highest standard in graphics and printing services.